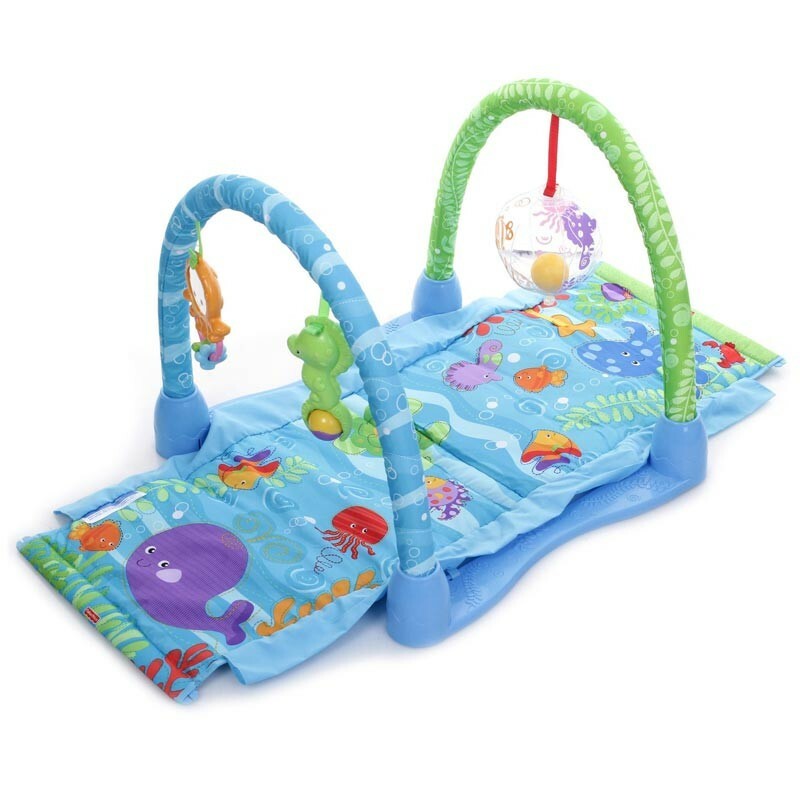 Fisher Price Ocean Paradise Kick & Crawl Baby Playmat Arch Gym The Fisher-Price Kick and Crawl features a soft comfy mat with two hanging toys and an inflatable ball. This mat can be converted into a crawl-through tunnel by threading it through the two foam arches. Moreover, you can carry this Kick and Crawl play-gym anywhere. 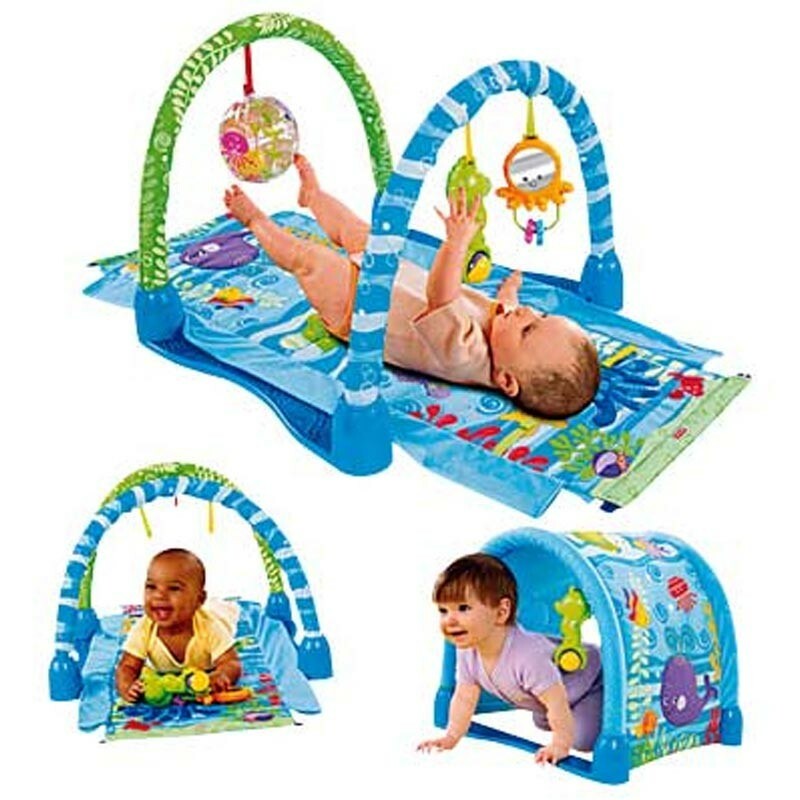 Gift your child an activity center that can help him enjoy kicking, crawling and grasping. 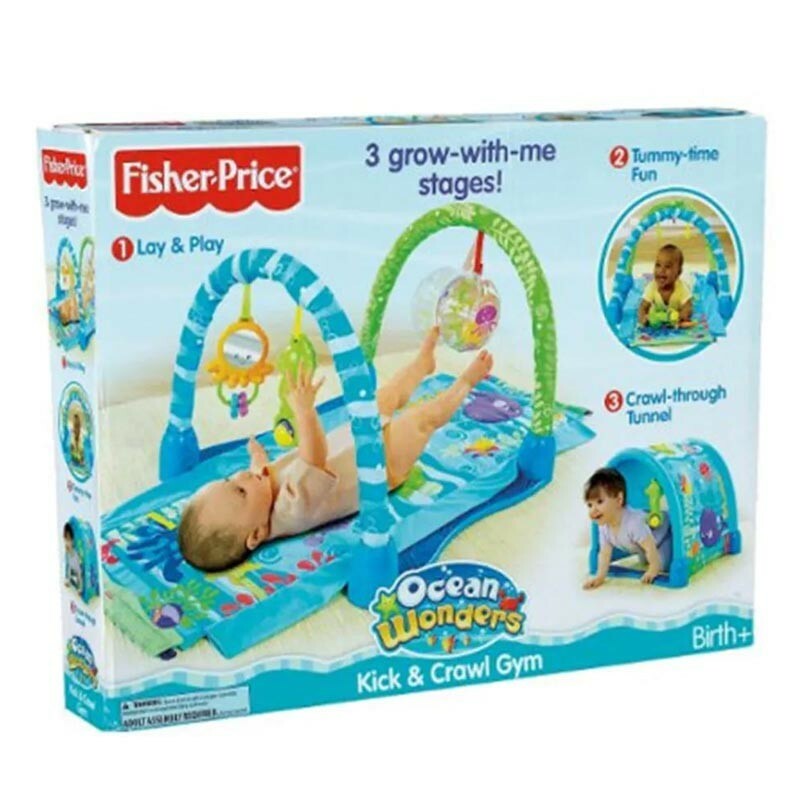 This Fisher Price baby gym grows with the child through three prominent developmental stages namely lay and play, tummy-time fun and crawl-through tunnel. 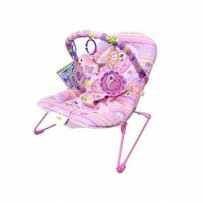 You can also attach toys to the mat and watch your baby reach out to them. 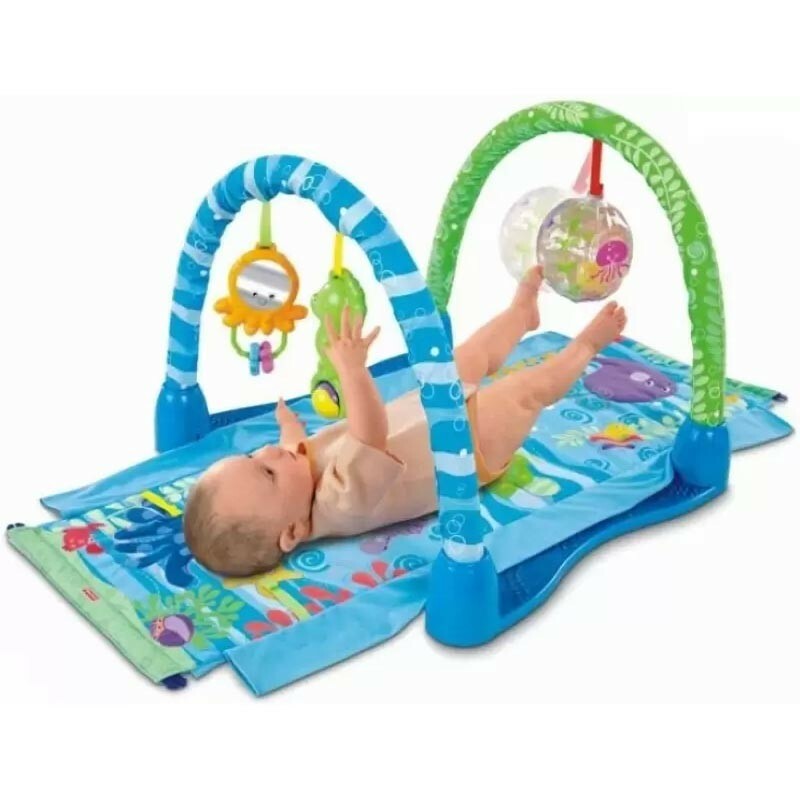 This dome shaped kick and crawl gym is specially designed for kids below three years of age, who are still learning to hold themselves upright.